The Cedarapids® CRH1313R delivers big production and has the versatility to handle rock crushing, concrete recycling, and asphalt recycling. The highly mobile plant is a complete stand-alone closed-circuit unit with three product capability. The plant features a high production Cedarapids IP1313 impactor with a 3 or 4 bar 50" (1270 mm) rotor powered by a Tier 4, 450 hp (335 kW) diesel engine, direct drive to crusher, and 200 hp (150 kW) generator. Uptime is maximized with a heavy-duty undercrusher pan feeder that protects the conveyor belt from damage by absorbing the high velocity discharge from the crusher. More capacity is possible because of the 5'x16' (1515 x 4875mm) patent-pending dual-slope 2-deck screen which handles heavier loads. 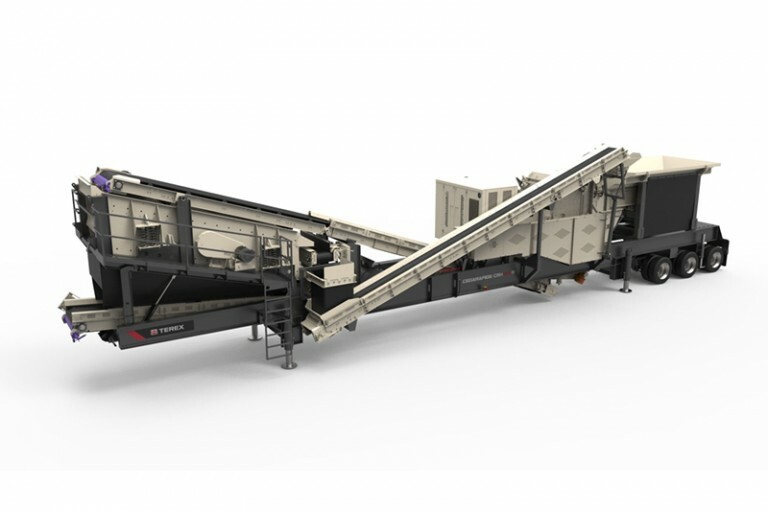 In addition, the capability to return both screen deck products to the crusher maximizes production. A rugged 48" x 16' (1220 x 4875 mm) high-stroke Cedarapids "Advantage" feeder with 60" (1525 mm) grizzly bar or optional stepped tine style grizzly section feeds the impactor. The new CRH1313R portable impactor/screen plant is simple to operate, quick to set up, and easy to transport.